Press freedom campaigners have warned of the death of independent journalism in Cambodia after a pioneering newspaper was sold to an investor who reportedly has close ties to the government. At least five leading journalists at the Phnom Penh Post -- including the top editor -- have resigned or been fired, they say, after being ordered to pull a story about the sale of the newspaper to Siva Kumar G, a Malaysian investor. The story, which remains on the newspaper's homepage, detailed connections between the paper's new owner and Cambodian Prime Minister Hun Sen.
"After being ordered to remove my story regarding the sale of the Phnom Penh Post from the website by new management, I refused and offered my resignation, which was accepted," Brendan O'Byrne, the newspaper's former business editor, said on Twitter. Journalists at the newspaper said that three other senior editorial staffers had resigned. Kay Kimsong, the publication's editor in chief, told CNN he had been fired by the paper's new management. Dozens of staffers at the newspaper issued their own statement on Monday in protest: "We ... condemn our new owner's demands to take down today's front page article," they wrote. "Our article was written in an attempt to maintain the transparency and integrity of our paper as we have done for more than 25 years." 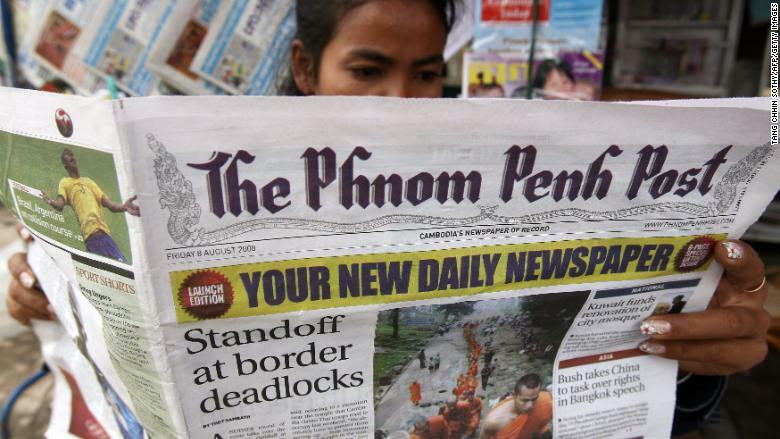 Phil Robertson, the deputy Asia director at Human Right Watch, said the sale of the Phnom Penh Post means "the last pillar of press freedom has been toppled in Cambodia." "Media freedom is now an endangered commodity, with the demise of the Post and the Cambodia Daily, Radio Free Asia thrown out of the country and some of their journalists placed on trial, and independent FM radio stations shut down," he said. The Phnom Penh Post reported that it had received a statement from its new owner saying he was "fully committed" to upholding the paper's editorial principles and independence. First published in 1992 and staffed by Cambodian and foreign journalists, the Phnom Penh Post has been a rare independent voice in a country where political leaders have not always tolerated dissent. It publishes in two languages: English and Khmer. Critics say that Hun Sen, who has been prime minister for more than three decades, has cracked down on independent media in recent years as part of an effort to consolidate power. "We have witnessed the crumbling of Cambodia's media freedom," Ming Yu Hah, an official at Amnesty International, told CNN. "We have seen the Cambodian government systematically collapse and repress numerous media outlets in the last 12 months." Cambodia ranked 142 out of 180 countries on the 2018 World Press Freedom index compiled by Reporters Without Borders. Bill Clough, the former owner and publisher of the Phnom Penh Post, said in a video published last year that he wanted to maintain the paper's independence. "We want to be seen, as a newspaper, that we really dig for the truth ... and we don't fear anyone." The Australian said the paper had been "remarkably" free from government interference. CNN was not able to reach Clough on Monday. In a statement reported by the Phnom Penh Post, Clough described the new owner as a "well respected newspaper man" and "experienced journalist." Siva Kumar G is described on the website of his public relations company as "a journalist by discipline and qualification." When asked for comment, a company representative said the investor would be out of the office for two weeks. Huy Vannak, undersecretary of state at the Cambodian Interior Ministry, told Reuters: "It is a normal business, and it remains a newspaper." Critics said the loss of an independent press would have profound implications in Cambodia, a country that suffered under the brutal rule of the Khmer Rouge. "The free press is one of the pillars of democracy for any country, but especially for Cambodia," said Edgardo Legaspi, executive director of the Southeast Asian Press Alliance. 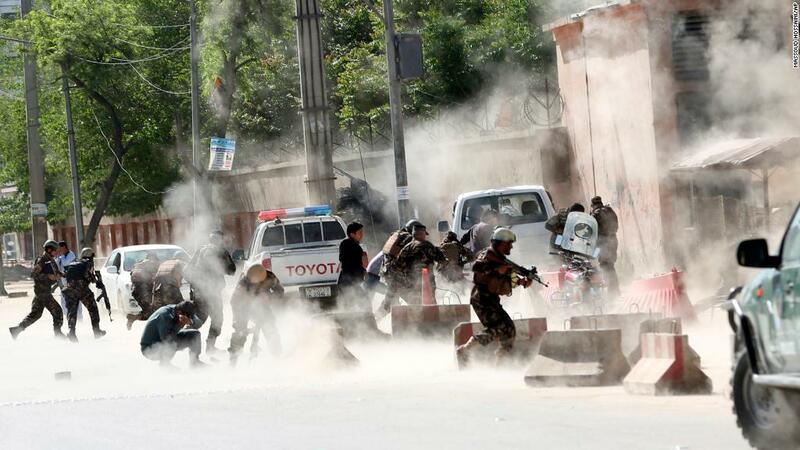 -- Angus Watson contributed reporting.